So, I actually have a lot of cool stuff to post up and write about; new features, Super GT news, shop visits – the only snag is, I can’t access it! Earlier to day one of my portable hard drives went haywire and as a result I don’t currently have access to the files. I’m running some recovery software now, but it’s going to take quite awhile. Hopefully all is not lost! 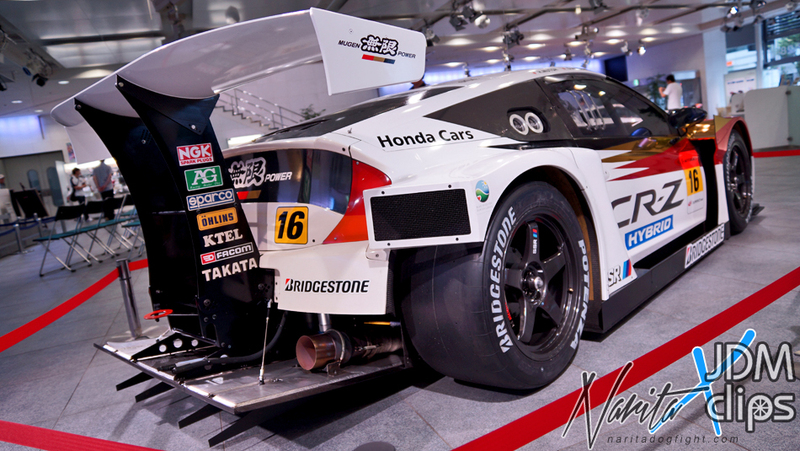 One of said cool posts I am referring to is a comparison between the now two hybrid competitors in the Super GT series. The newcomer CR-Z you see here, and the Prius that has been running all season. There are actually quite a few difference between the two, and I thought it might be cool to highlight some – with loads of pictures of course. I just got some new material from our friends over at JDM Clips (which is actually what inspired the post). So while it may seem slow on the blog, bear with me for a little bit while I get things squared away. You’ll definitely want to check back next week for Wekfest East coverage anyway. Thanks for visiting!